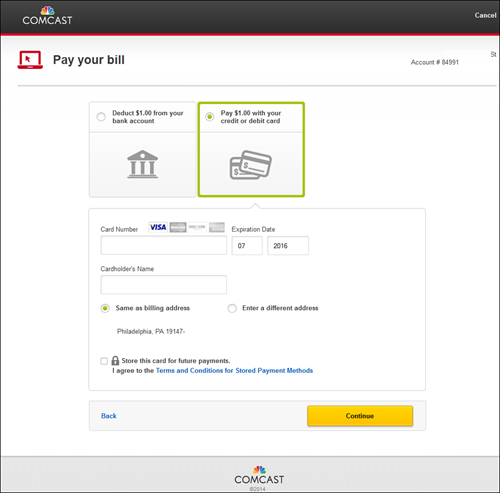 Home » Ho do i make a one time payment of my Comcast account? 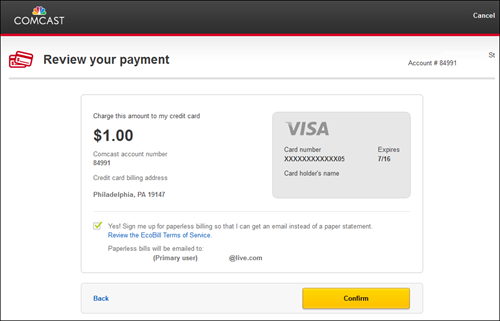 You can use check, saving or credit card to pay you comcast bill online. checking and credit cards might take up to 2 days to process. Now, Choose one of the options: Pay total balance due, Pay past due balance, or Pay in advance. , and after that, click the continue button. Choose where you want the payment deducted from – credit, bank or debit? – and fill in the required details. and click continue. Make sure that all the details are correct and click confirm to submit. Now all you need to do it print the confirmation details and you are done!